Hey folks! Call me crazy, but I wanted a vintage bike as my first motorcycle. Here's my 74 TX500 with only 16,000 miles on it. Ran fine to get it home. It's in the shop getting caught up on some delayed maintenance, but should be back on the road this week! Nice one Kylewalk, Welcome to the forum! Tell me any oil leaks? Has the mufflers started to swell up towards the end (about 4 inches from the widest part of the megaphone)? Their the only problems I had with my 73 Tx500 (same colour.. Bird blue).. 6000 miles. Oh! A worthy addition was a modified starter clutch see in my posts about a year ago. Leaks a little oil. Can't tell from where. And ya, the mufflers do have funny bumps/dents abot four inches from the end. Wow spot on. I assumed they were dings from a PO tipping it over or something... what causes that? what's the starter clutch mod supposed to do? Good for you riding a classic as your first motorcycle, they do make a great first bike, the riding position is very easy going and there’s just enough power to make it interesting. 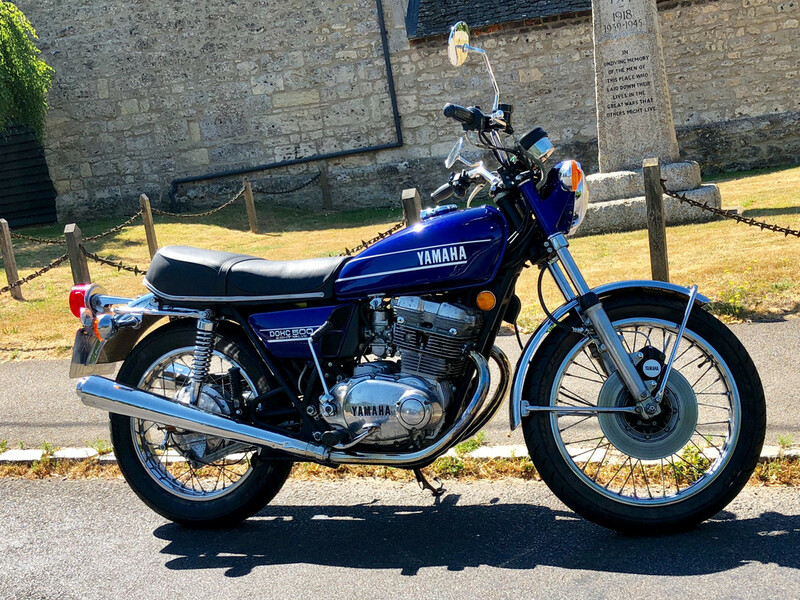 I’m really enjoying mine, it has its idiosyncratic features, but nothing takes the smile off my face when riding it with an open face helmet through the local villages.